The small Lastolite ePhotomaker has been designed for eBay users who wish to produce better quality photos for use on the web. Using well-lit, colour-adjusted photos that are an accurate portrayal of the product makes the difference between selling or not selling a product. 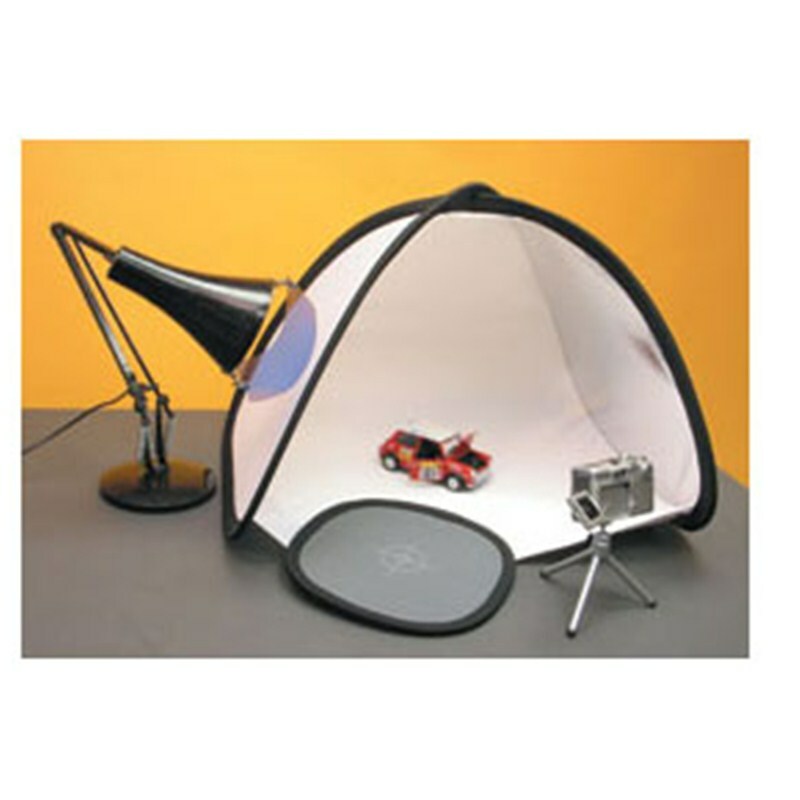 The ePhotomaker does this by putting a diffusing fabric on one side of the product to soften the light and a reflector to fill in the shadows on the other side. All you need to provide is an ordinary domestic light. The ePhotomaker kit from Lastolite includes an EzyBalance greycard, giving photographs the crisp white background necessary to be able to drop them straight onto a web page. The ePhotomaker kit also includes a tabletop tripod which ensures that camera-shake does not affect the quality of your photographs. The Lastolite ePhotomaker is collapsible and easy to store, great for use in any location. The small ePhotomaker is 35cm high with a width of 35cm at its base and 20cm width at the top. Alarger version is also available.